Since 2001, Savanna has worked closely with many key Aboriginal communities to develop and maintain strong business relationships. These relationships have been built on mutual trust, with Aboriginal communities participating both as investors and as valued employees. These business partnerships benefit Aboriginal communities, Savanna and our oil and gas producing customers. What separates a relationship from a genuine partnership? Savanna believes that the difference lies in the depth and strength of the commitment involved. Savanna is currently partnered with seven First Nations communities in 50/50 rig ownership: Blood Tribe, Cold Lake First Nation, Dene Tha’ First Nation, Duncan’s First Nation, Heart Lake First Nation and Saddle Lake First Nation. Click the map to see which Aboriginal communities are partnered with Savanna Energy Services. Our most recent partnership is a joint venture formed in 2013 between Fort McKay First Nation (51%) and Savanna Energy Services Corp. (49%). 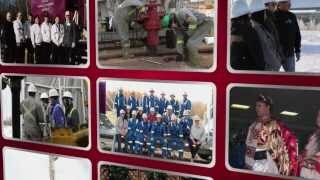 This partnership offers drilling, well servicing, and oilfield equipment rentals to Alberta oil sands operators. 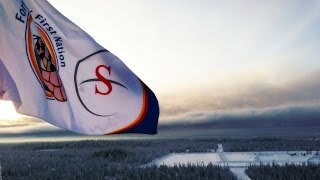 Fort McKay – Savanna Energy Services Limited Partnership operates a yard and shop location in Caribou Energy Park, Fort McKay First Nation. Fort McKay Savanna Partnership Attractive Mix for Oil Sands Customers. Our partnership model brings Aboriginal communities and Savanna together as meaningful players in the western Canadian energy industry. With a record of tangible achievement that no other service company can match, Savanna is poised and determined to remain an industry leader in Aboriginal community relations. Working with these communities also provides Savanna with access to a large and capable labour force. Hiring of Aboriginal people is based on need, skills and merit, as with all Savanna employees, and Savanna offers training and mentorship for all our field people. Savanna is a member and supports CFAR (Circle For Aboriginal Relations), CCAB (Canadian Council for Aboriginal Business) and Cando (Council for the Advancement of Native Development Officers).